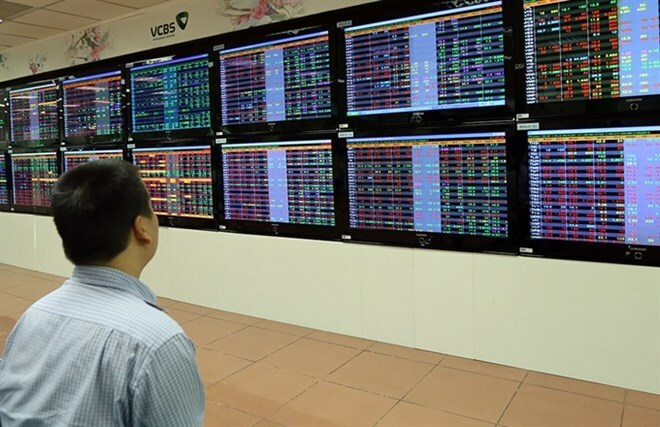 Hanoi (VNA) - Vietnam’s stock market has 23 companies valued at over 1 billion USD and most of them have reported higher business results in the first half of this year. Vinamilk (VNM), the biggest listed firm, is also the most profitable company with the six-month profit of nearly 5.9 trillion VND (258 million USD), up 18 percent over the same period of last year. In the first half, Vinamilk’s turnover from overseas markets shrank from 19 percent last year to only 15 percent this year, but takings from the domestic market rose by 10 percent, owing to heavy spending on advertisement worth around 396 billion VND. In terms of revenue, petrol retailer Petrolimex (PLX) was on the top of the list with over 74 trillion VND (3.25 billion USD), up 26 percent year-on-year. Revenue growth was attributable to increases in global oil prices averaging at 25.6 percent in the first six months of this year. However, due to a higher cost price and rising financial expenses, including exchange losses, Petrolimex’s profits declined 12 percent year-on-year to just 1.8 trillion VND (79.3 million USD). Seven of the nine listed banks have market cap of over 1 billion USD but their profits accounted for nearly 40 percent of total earnings of 23 largest listed businesses. The profit growth of the banking sector averaged 30 percent in the first six months while that of the non-banking groups was only 3 percent. Vietcombank (VCB), the biggest listed lender with a market cap of 6.1 billion USD, reported the highest profit of 4.2 trillion VND (185 million USD) on revenues of 15 trillion VND (660.8 million USD) in the first half, up 23 percent in profit and 19 percent in revenues over the same period of last year. Vietinbank (CTG) and BIDV (BID) ranked second and third in terms of profits. Vietinbank posted first-half profit of 3.9 trillion VND (171.8 million USD) and revenue of 16 trillion VND (704.8 million USD), up 15 percent and 26 percent, respectively. BID’s turnover rose 24 percent to nearly 16.8 trillion VND (740 million USD) but its net profit edged up just 2 percent to over 2.7 trillion VND (118.9 million USD). Non-State commercial banks including Military Bank (MBB), Asia Commercial Bank (ACB), VPBank (VPB) and Sacombank (STB) reported higher growth of over 50 percent, of which Sacombank’s profit shot from just 3 billion VND in 2016’s first half to 422 billion VND in the first six months of this year. Profit of VPBank also doubled to 2.6 trillion VND in the reporting period. Only four companies reported slower sales but up to eight companies saw a decrease in profits in the first six months. Turnovers of Masan Group (MSN) and its consumer arm Masan Consumer (MSN) dropped by 6 percent while their net profits plummeted 56 percent and 36 percent, respectively. Masan Group’s slowing businesses were mainly driven by drops in Masan Consumer whose food and beverage revenues decreased 13.4 percent and in Masan Nutri-Science caused by falling retail pig prices of 34-40 percent. Two businesses in aviation also saw their profits slide substantially. National flag carrier Vietnam Airlines (HVN) reported net profit of 766 billion VND (33.7 million USD), down 54 percent year-on-year, attributed to the rise in petrol prices of 37 percent over the same period of last year. Meanwhile, profit of Airports Corporation of Vietnam (ACV) dropped by 16 percent to nearly 2.1 trillion VND (92.5 million USD).